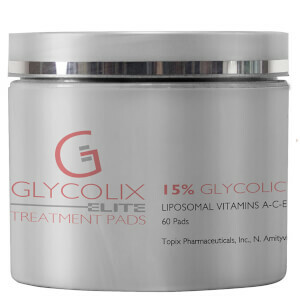 These pads are very good and effective; they are not too harsh as other pads I have tried. Great price as well. I have used the other percentages, but think the 10% is the best option. The others are either too harsh or not effective enough. The pads are a little thin, but don't dry out. The price and quality makes them a great buy. These pads are effective and great for daily use. The pads are moist enough and do not dry out my skin. Easy to use and at a nice price. Great for every day use. The pads do not dry out my skin. Effective product for oily, acne prone skin and large pores. My dermatologist recommended these to me. There were definitely a few weeks where my skin broke out. She explained that all of the junk in my pores was being swept out. Once I got over that, my skin has never looked better. Been using for a month..I have oily acne prone skin..keeps oil production to a minimum..deep cleans dirt that wasn't removed with washing..has a sting for about a minute or two but doesn't last..like the performance of these pads. These pads are wonderful..I have oily. acne prone skin..the pads are not drying and don't strip the natural oil in my skin which would cause an over production of oil..it helps to control my acne. I like this lower concentration for everyday use. I use the 20% pads a few times a week in place of these, but these aren't as strong so they don't irritate my skin if I use them everyday. This is amazing value and has made a real difference to my skin (hormonal acne - scars and breakouts), for the money it's better than a lot of more expensive products I've tried. Alternating with salicylic acid pads has worked well for me. This is the best thing ever invented... I am an esthetician, use it for clients with problem skin and clients with dry skin... the end result is always clear, clean and smooth. If it causes problems where you normally don't have them, it only means it is clearing your system. Keep using it or move up to a higher percentage. It works so well on everyone.